According to a recent study by the National Association of Realtors, almost 90% of home buyers started their home search on the internet. Our site allows you to save multiple home searches, save any favorite properties and much more. If you would like to sign up for an account please CLICK HERE to get started! It is never hard to find an agent; it is only hard to find the right agent who is a professional. The decision to buy a home is one of the most important financial decisions most people will ever make, however most people put little thought into finding an agent who best suits their specific needs. When looking for an agent, attempt to find one who possesses high moral standards, an elevated level of local market knowledge and top technology to better serve his or her clients. You will want to make sure your agent will not put personal financial gain before your specific home needs. Local market knowledge is also a key consideration when looking for the right agent. A good agent will know specific information about local markets such as school districts, utility company info as well as access to entertainment. Having local market knowledge extends past “where things are”; it also includes knowing specific market statistics which will allow you to make the strongest offer on the home that you want. Finally you are going to want to work with an agent who has access to technology that will allow you easy access to available homes that meet your criteria. You will want to be able to search available inventory, save and share favorite properties as well as get real time updates throughout your home search. Most sellers in today’s market require proof of funds or pre-qualification letters to accompany any offers home buyers make on their properties. These documents will accompany your offer on a property and will need to be dated within 30 days of the offer. A pre-qualification letter is generated from a bank professional after they met with you and have an understanding of your income, expenses and credit. They may require you to provide certain income documents in order to draft your pre-qualification letter. The letter is usually on their letterhead and outlines a few contingencies of final approval as well as a “max price” in which you will qualify to purchase. Pre-qualification letters are an initial look at your financial scenario, additional documents are usually needed once the contract is accepted and the underwriting process begins. “Proof of funds” are usually bank statements or a letter from your bank showing the amount of liquid cash available for your purchase. A good rule of thumb when providing proof of funds is that if you cannot wire the money out of your account the same day, it may not qualify. You should always black out any account numbers on your bank statements PRIOR to providing them to your real estate professional to send out with your offer. Once you have viewed properties on our site and have connected with an agent, your agent will be able to help you narrow your search down to 3-5 homes. Your real estate professional will then make contact with the listing agent(s) on those homes and schedule a time where the both of you can view the home. Viewing the home(s) in person will allow you to gain an idea of actual proximity to entertainment, schools and shopping. It will also allow you to get a “feel” for the home to make sure it will fit what it is you are looking for. Once you have viewed the homes you should now know what home you would like to offer on. 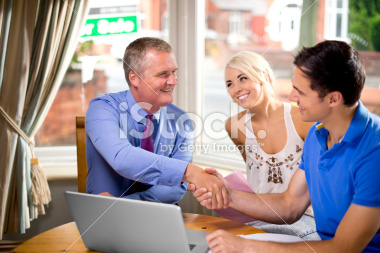 Your Real Estate Professional will write up a competitive offer and present it to the seller’s agent for consideration. An escrow deposit typically will be required to submit with your offer. The escrow money will be deposited into the title company’s escrow account. The escrow deposit is necessary in order to have a complete contract. Depending on the market, you may have to write multiple offers prior to gaining acceptance by the seller(s). Once your offer is accepted by the seller you will then have to work with your real estate agent on clearing all of the outstanding contingencies on your offer. These include but are not limited to additional escrow deposits, home inspections, financing contingencies and timely closing. It is imperative to work closely with your real estate agent to clear all contingencies PRIOR to expiration date(s) on the contract. Property insurance will be required on all financed properties, however it is not mandatory if you are making a cash purchase. You will want to start to work with an insurance specialist once you have cleared both the inspection contingencies as well as the financing contingencies outlined in your contract. The title company will coordinate all of the closing documents as well as a time that is convenient for both you and the seller. If you are financing the transaction they will also coordinate with the lender to ensure that they get all the loan documents in time and your purchase funds properly.